Any Youth 2 skaters interested in being tested for pins in the Cutting Edge pin program can stay on the ice after their practice time on Saturday March 17th or Saturday March 24th. 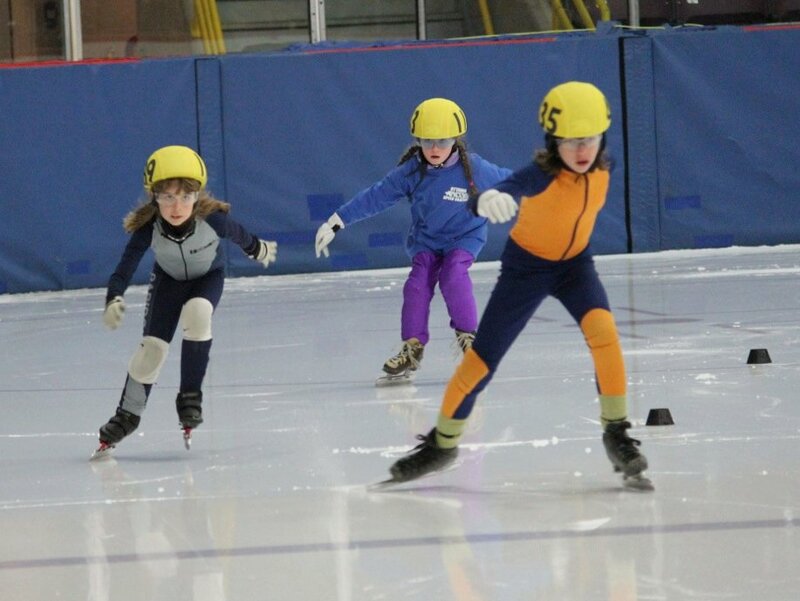 Competitive skaters interested in pin testing should arrange a time with Coach Jen. If you have any questions about the program, talk to one of the coaches. The Provincials were held in Kingston this past weekend and five skaters from the club competed. Sarah Ouimette was 8th and Anelie Norton was 23rd in the Open Female category. Alphonse Ouimette finished 5th in the Open Male category. Nick Everett was 4th in the Juvenile Male category. Aidan VanBeek finished 1st in Pre-Midget Male. Just a reminder that the Gloucester ability meet is coming up on March 3rd. Bring your registration form and your money to practice on Tuesday February 21st. Here is a link to the entry form. The ice that had been canceled for Saturday March 24th has been restored, but with earlier times. BNTV has posted some coverage of our Ability Meet which includes a video with some racing. The Brockville Recorder and Times has published an article about the Eastern Regional Ability Meet meet we hosted on the weekend. The progression of skills is continuing. The St. Lawrence Rapids Speed Skating Club held its annual ability meet at the Memorial Centre in Brockville on Saturday. There were a total of 39 local skaters among the contingent of 140 young and not-so-young participants in the day-long competition. 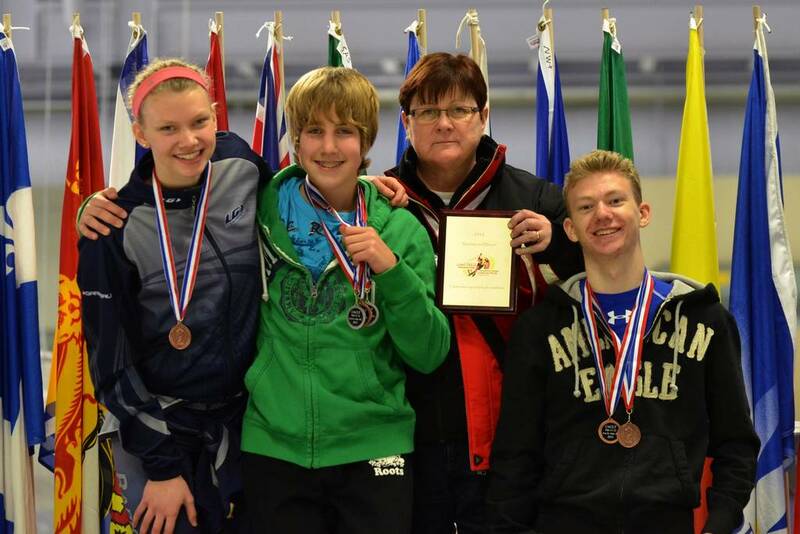 This was the 10th of 13 ability meets that take place throughout Eastern Ontario during the speedskating season beween October and April. 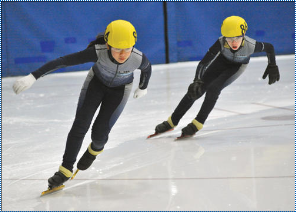 It’s an event that provides an opportunity for all levels of speedskaters to build times for the seedings and rankings in the Ontario Cup competitions. Three skaters from the club competed at the Canadian Long Track Age Class Championships this past weekend in Fort St John B.C. The Eastern Regional Ability held in Brockville was a great success – thanks to everyone who made it a great day! Here is the protocol (pdf) from the meet showing all the racers and their times. We had 29 skaters from the club participate and 49 new PB’s were set. Chloe and Spencer broke 1 min for 500 m. Congratulations! The personal bests page and the “Wall of Fame” have been updated. Here are the Meet Details (pdf file, word file) and the Entry Form (pdf file, word file).